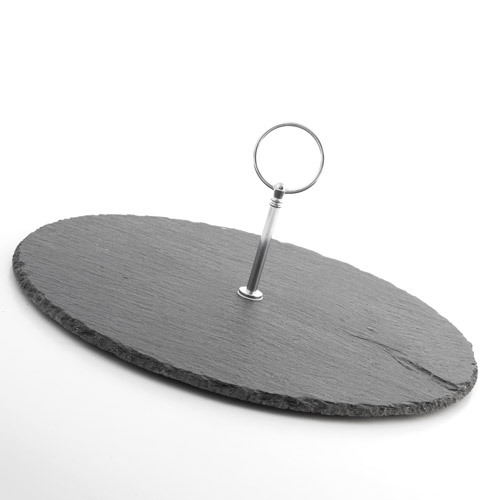 Round slate cheese board with accessories. 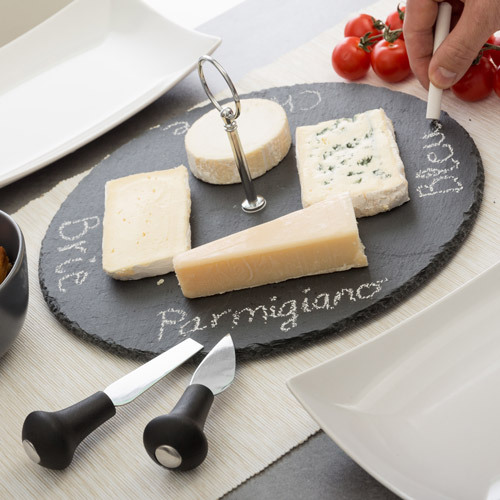 This practical and fashionable slate cheese board is ideal for serving and slicing several types of cheese with ease. 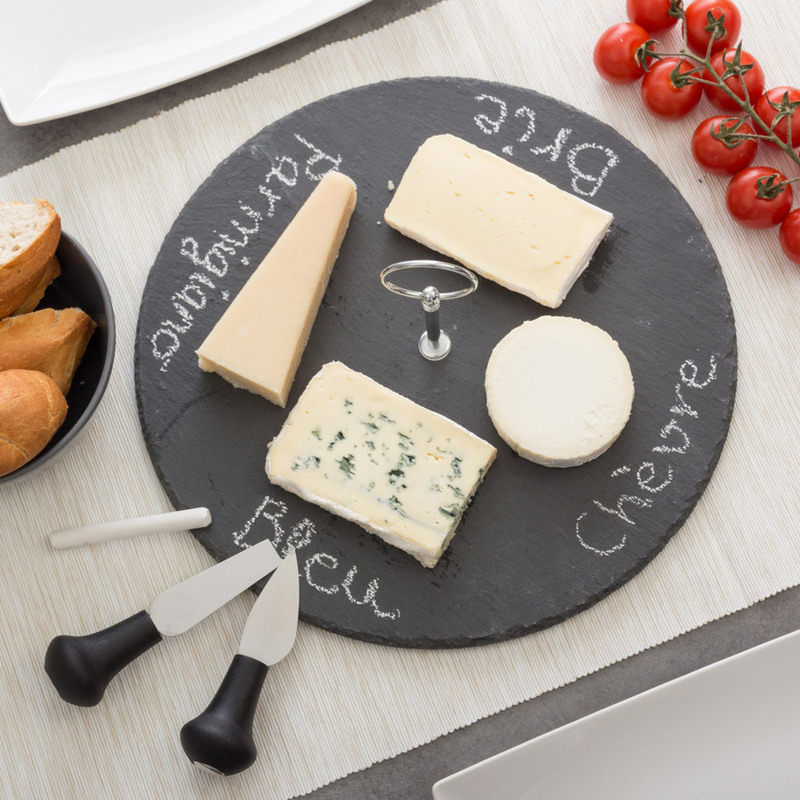 It includes chalk, central handle to easily move the tray and two cheese knives (length of the handle: approx. 12 cm). It features anti-slip feet. Approx. dimensions (diameter x width): 30 x 0.5 cm.